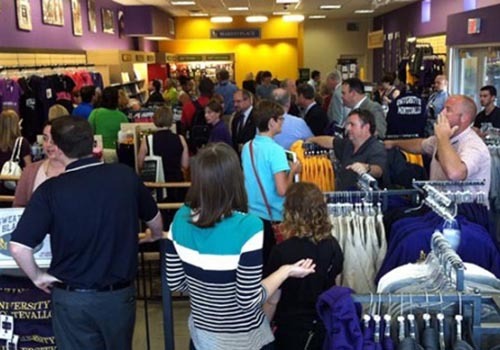 Main Street in Montevallo, Alabama was filled with university students heading back to class and to the new Barnes & Noble at Montevallo bookstore to celebrate its grand opening. The newly renovated store is the culmination of a partnership between the University and Shelby County to redevelop the downtown. The bookstore is the latest addition to the revitalization of downtown Montevallo by the Montevallo Development Cooperative District, a partnership between the university, city and county. Last month, the university celebrated the opening of its newly renovated classroom building in the former Alabama Power office complex, just blocks from the newly completed promenade sidewalk project that connects the university to downtown’s Orr Park along Boundary Street. 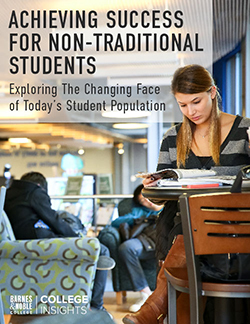 Smith said the new bookstore and promenade will benefit the university and local community, and the partnership has received great feedback from students, faculty and the local community. “The response has been overwhelmingly positive so far,” she added. 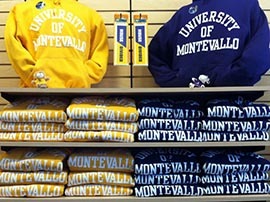 Falcon pride is alive and well on the campus of Montevallo and the new bookstore will help to support students’ academic success and promote the school’s brand. The expanded selection of Falcon apparel has been a huge hit with alumni and students, according to Gothard. “That is something we’re looking to grow. We just can’t get enough of our purple and gold,” she said.